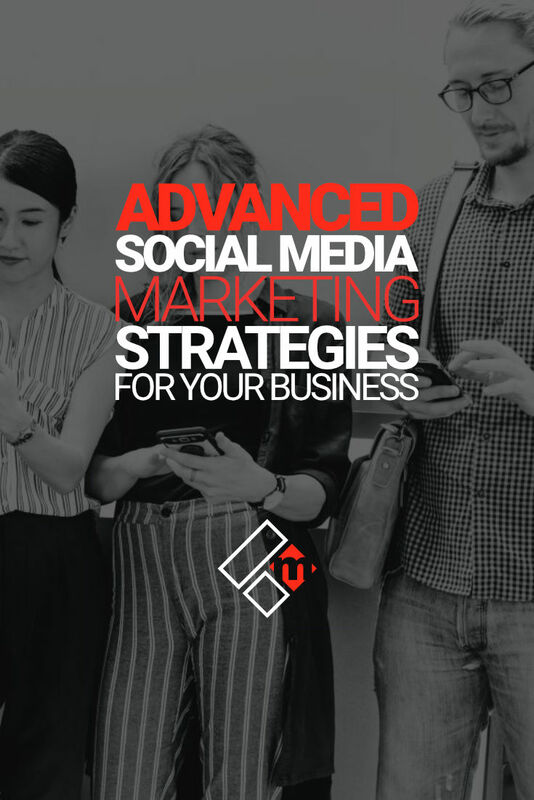 In this post, you’ll discover 9 powerful advanced social media marketing strategies to put you and your business ahead of the game. As you probably know, the competition on social media is getting bigger and fiercer by the minute. More and more brands go into the world of online marketing and social media advertising, therefore making it very hard to exploit the powers of social media. If you attempted to start an ad campaign on Twitter, Instagram or Facebook, then you know that the process requires an exhausting number of steps if you want to fine-tune the targeting and reach your target audience. There is simply so much to do – set a budget, select an objective, measure ROI, tune the targeting, do some testing, etc. Most of the big brands use special techniques to manage their spending on these effective channels, which make the competition extremely hard to beat. But, as competitive as this landscape is, there are still opportunities for success if you know how to utilize some advanced social media marketing strategies. By taking the right steps at the right time and on the right platform, you can get ahead all those marketers who started off as you and worked their way up the social media ladder. A single picture can replace a thousand words. You’ve surely heard at least one version of the phrase above, right? Well, these days, this is truer than ever. Millions of consumers use the internet every day to find relevant products and services. They feel much more comfortable about their purchase if these are accompanied by visual content such as pictures, infographics, and, of course, videos. There is literally no other method that provides more information to the buyer when it comes to a product and because of it, multimedia content is one of the strongest tools you have in a social media marketing strategy today. That being said, you need to take plenty of pictures. Pictures of your products and services, pictures of what goes on behind the scenes of your business to highlight your company’s culture and instill trust in the customers. This will go a great length at convincing customers to buy from you and encourage other businesses to work with you. The point is to use visual content and multimedia messaging as often as you can. Photos can show the customer what the product looks like, while videos can explain the how-tos and deliver step-by-step instructions on how the product or service works. Content remains “The King”, but in many cases, a video can perform way better than a well-written content guide. In other words, it all boils down to what you determine will be best received in the form of content, and what of multimedia. We’ve come to a point where automated messages fail marketers if they are used on the wrong platform. Seeing that different social media platforms have different users and methods, it was inevitable that the same messages won’t work the same way on all networks. Most marketers know to add an automated message to their social media profiles to improve communication with customers and keep them interested. However, what most marketers don’t consider when doing this is that the same message will not work the same over multiple platforms. The trick here is to tailor and adapt the automated message for different social media platforms. If you think about it, a platform like Tumblr does not function the same way as Facebook. What you decide to post on it might be considered spam on other social media sites, or the specific writing style might not fit both platforms. Understanding the audience and system of each website can ease the process of customizing a message and adapting it across different sites. 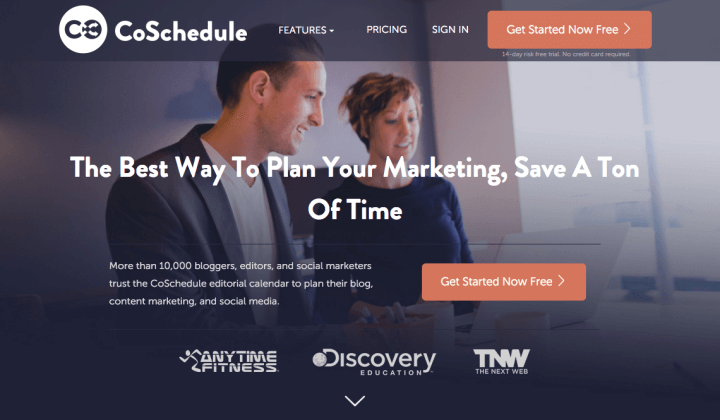 Sure, this process can take an immense amount of time and resources, however, you can make use of marketing automation tools, like CoSchedule, to help you not only create customized messages across your platforms but also measure how successful those messages are. Local search is the greatest start for any small business. If your business is not already there, you need to get on it, fast, and the greatest starting point for this is the local area where it is situated. That being said, you need to make sure that your website is a part of the local business directories and groups in your localization. If people in your area want to find you, they should be able to do so right away. Striving to attract a wider audience isn’t a wrong approach at all, but overdoing it from the beginning is a huge mistake. Start small – start locally. You can start by checking out the competition and see where they are listed, then put yourself out there with them. And of course, make sure that your business is listed on Google Maps too. One of the main goals businesses have in mind when they use social media is to build a rock-solid community. This is also the starting point of social marketing, which would ultimately lead to more sales and larger customers’ database. One great way to build a community is to entice folks with some special offers, contests, or discounts. A contest can help create hype and buzz among social media users and if the award is enticing enough, it can become viral faster than your business would without it. Some of the content made by businesses is starting to be machine generated. Very soon, chatbots will interact with the audience in real time, send personalized messages, and even have human-like voices you can customize to your specific brand. 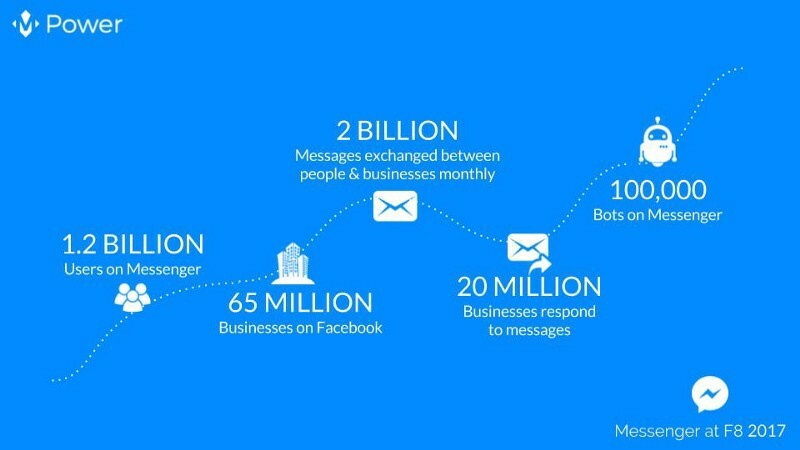 Every month, there are over 100,000 chatbots working and active on Messenger by Facebook. As a result, millennials have quickly adapted to this and started using them. A well-programmed chatbot won’t replace human writing, but it will be there to answer the questions for users if you provide it with the answers. Even if you are not available, some quality pre-written content can reduce the load and give you the time you need to finish the rest of your obligations. Not everyone is great at this, pre-writing content for a chatbot requires time and skill. If you can’t think of great content to teach your chatbot, an experienced writer should be able to help you out. Right now, Bluetooth technology is added to signage, vending machines, lighting fixtures, retail, etc. Its uses are becoming more widespread all the time and it is slowly starting to move into the marketing sector, too. A Bluetooth beacon that does not rely on batteries is swiftly becoming used in pharmaceutical products, sports apparel, and high-end cosmetics packaging. The beginning of Bluetooth as an excellent marketing tool is now and beacons are anticipated to perform many social media marketing tricks. They can post a photo, like a page, send a specific check-in prompt, etc. Facebook already has a feature for a custom audience, allowing users to focus their strategy on the target audience they’ve previously set. You can see this in both unpaid and paid ads and can implement it in content, too. Right now, Facebook lets its users import the information they have from MailChimp, customer files, and other sources. All of this adds up to a profile of the target audience, and leveraging such tools is an advanced social media marketing strategy you should definitely look into using to beat your competition. Gartner has predicted that by 2020, one in three sessions on the internet will be browsed without using a keyboard. People really seem to enjoy the voice search and already started replacing typing with talking into their phones. As a marketer, it is time to be smart about this and take it to your advantage. To ensure that you remain in the loop, working on written, video and audio content on the site is the smartest step to take in this matter. For example, instead of just posting content throughout the week or day, you can mix it up with an explainer video that promotes a new product or service. This will let customers learn more without having to use the keyboard to search. Social influencers are so popular now, big marketing strategies rarely work without them. People are much more likely to listen to a recommendation from an established influencer. Therefore, it is time that you find yourself some influencers and get into this marketing craze. When selecting an influencer to take part of your marketing strategy, aim to get one that has a relevant following to your business. Experts in the industry are your preference since they have your target audience watching and listening to what they have to say. 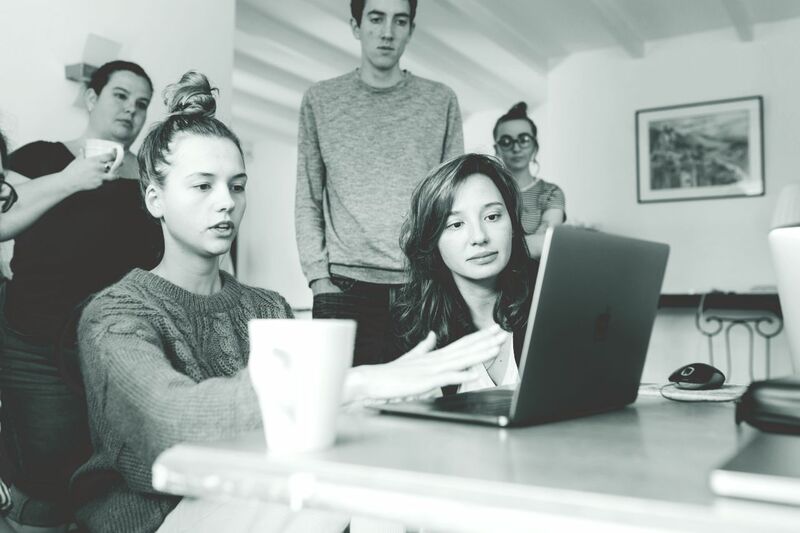 Social media marketing can result in a tremendous success for your business, but only if you are willing to learn and keep track of the trends in your industry. People love social media, which is why it takes a high place in the marketing world of today. Feel free to test these strategies and turn them into your own. Lilian Chifley is a blog writer from Australia. She loves reading books about modern technologies, spending time with family, and shopping.